What is an Elide Fire ball? 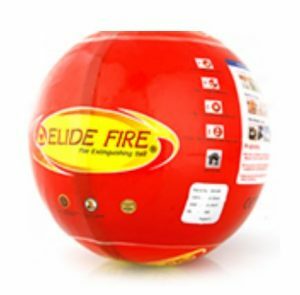 The Elide Fire ball is a compact, light weight, self activating fire suppression unit designed to discharge it’s content within 3-10 seconds of contact with a naked flame. The Fire ball is suitable for any type of fire and capable of extinguishing a fire within 360 degrees of the device and up to 4 meters. The device is simple to use with or without the presence of people, with no need for training or regular servicing. 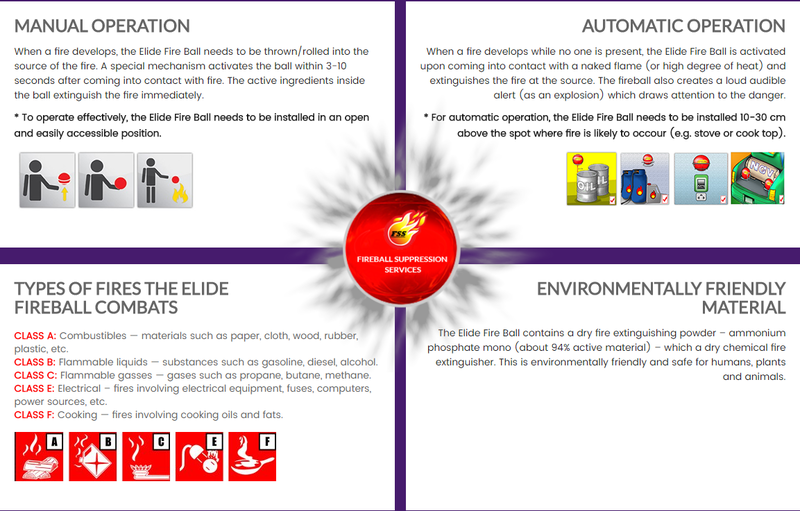 Unlike a fire extinguisher, the Elide Fire ball is service and maintenance free for five years. The device is light weight, approximately 1.3 kg to assist with ease of use. The fire ball contains mono ammonium phosphate chemical powder, which is safe for humans, animals, plants and is environmentally friendly. How does the Fire ball work? 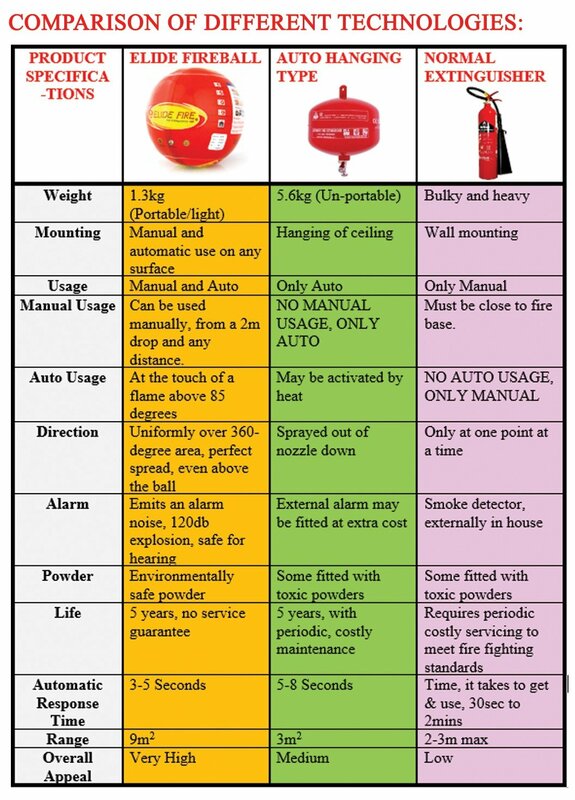 The device has 2 operational options, a) simply throw or roll the Fire ball into the fire from a safe distance; or b) install the fire ball with a self activating mount positioned in an appropriate high risk area where a fire is most likely to ignite. 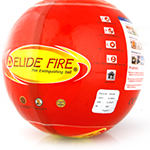 All Training Services is here to bring you the revolutionary Elide Fire ball, a self activating fire suppression device. We will endeavour to help better protect yourself, staff, assets and provide a safer environment. All Training Services Pty Ltd is a commercial agent for Fireball Suppression Services and has mobile units for site assessments, servicing & installations. Our goal is to have fire suppression devices in every home, work site, vehicle, machinery, apartment building & emergency services unit in order to help save lives.